Granite and wine rarely mix, but luckily there’s another way to open that bottle other than hitting it against a slab of hard rock. 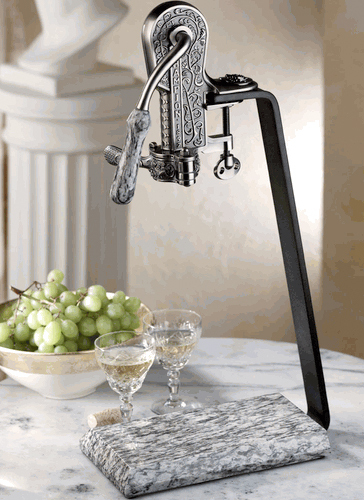 The Rogar International Champion Wine Opener in Antique Pewter with White Wave Granite is an impressive stationary opener that can uncork (and re-cork) bottles in under a second. That’s a timeframe even the most impatient among us will find comforting, while those who practice patience will appreciate an opener this steady as a rock. Best of all, there’s no fishing about for an elusive opener—this behemoth has no chance of getting lost in the utensil drawer. With the street food craze still going on in full swing, it’s time to get back to basics. While we may never know what the original street food really is (noodles in China being a good bet), the iconic street food item of the modern era in the U.S. (or at least NYC) is the hot dog. 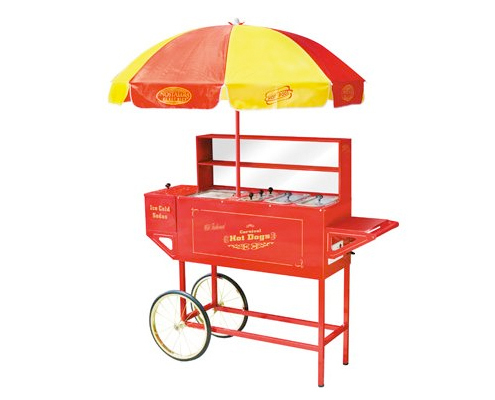 While the close companion of the hot dog, the hamburger, might best be prepared on a backyard grill, the hot dog just isn’t a hot dog unless it comes from the street. Or at least a cart. Wooden ships may float, but wooden spaceships? Maybe. But if you’re using this Flying Saucer Serving Bowl, you’re probably going to hope that it is too weighed down with delicious foods to get up and fly away. Depending on what you’re serving, that is. I’ll pass on the bowl of little green men, thank you very much. 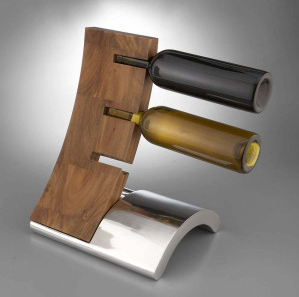 Designed by Neil Cohen, the Nambé Eclipse Wine Rack is only for the brave. While I doubt staring at its curvy structure for too long will cause any permanent eyesight damage, your heart however, may be another matter. I’m just not sure how comfortable I am with storing wine that is supported solely by the neck of the bottle. Good thing I don’t have any high-priced varietals hanging around to test just how sturdy it is. Or $200 in my 3-bottle wine rack budget for that matter. However, it certainly looks cool; just don’t stare at it for too long. If you’ve got a stand mixer, then you are already aware of what a help it can be in the kitchen. The machine has been a favorite of home cooks for generations, and for good reason: stand mixers are capable of producing anything from whipped cream to walnut bread. 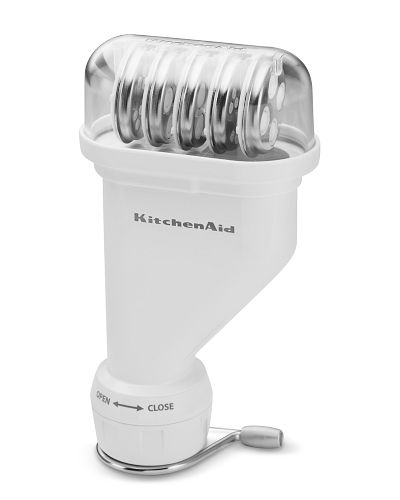 However, the real versatility of the classic kitchen gadget shines through when used in conjunction with the myriad of available attachments. Getting away from the city is always a recipe for a good time. Part of that fun usually includes ‘camping food’. 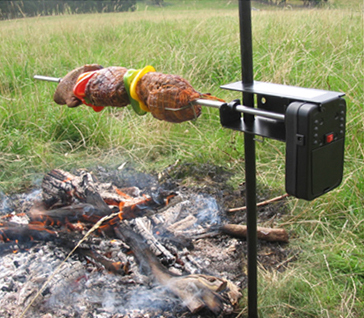 Bearing a resemblance to ‘rood food’, camping grub usually includes things you wouldn’t normally eat. At the very least, any meal you prepare is most likely going to differ from how you make it at home. That’s part of the fun; an open fire and coolers full of rapidly melting ice lead to food that must be eaten— no matter how.